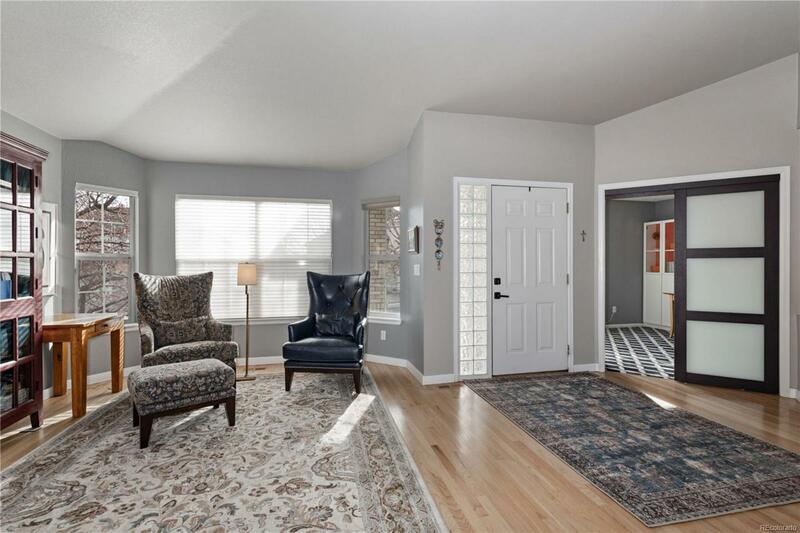 Beautiful remodeled Ranch in fantastic neighborhood close to everything! Dramatic open and vaulted floorplan, Gorgeous modern new kitchen! Private study/den at entry (could be converted to 3rd bedroom up if needed) & formal dining room. 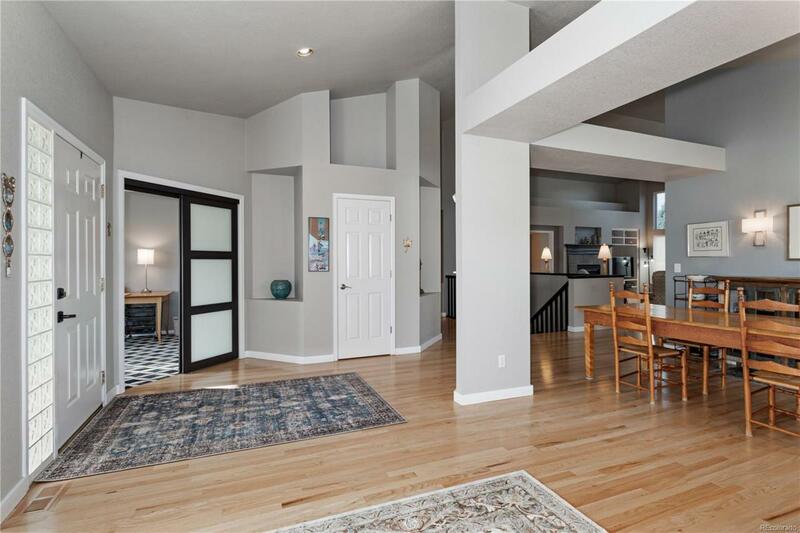 Beautiful kitchen has seated island, solid stone counters, soft close drawers, sleek appliances, plus eating space, all part of great room/family room with gas fireplace & art niches. Great home for entertaining. 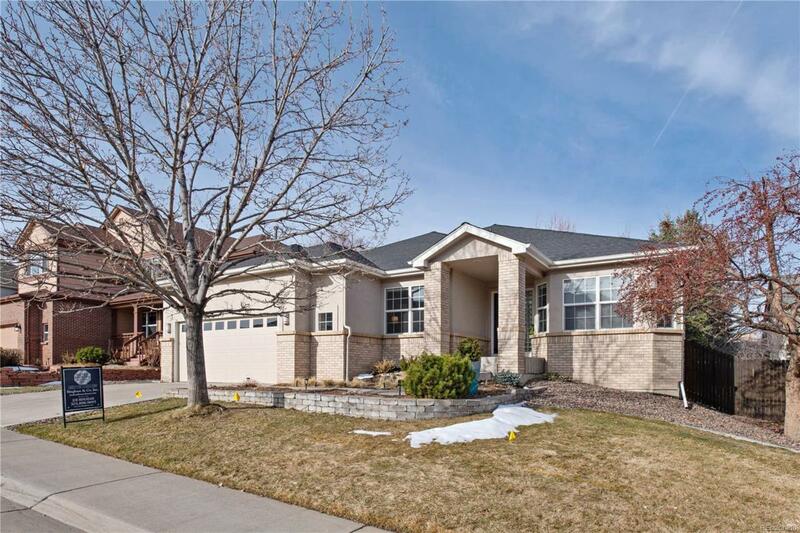 Large private master has newer carpet, 5 piece bath & walk in closet. Smaller backyard with custom stone gas fireplace/seating area, pro landscape, irrigated w garden, 2nd bedroom on main adjacent remodeled modern full bath with custom stone tile inlay. Laundry has built in storage. Finished garden level basement newer carpet, exercise/media room, bedroom with egress & 3/4 remodeled bath. 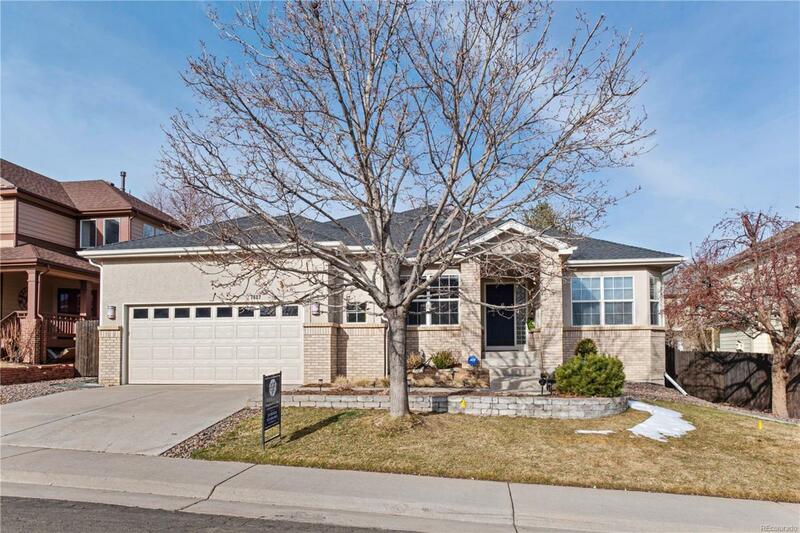 Quiet, private street, close to Lifetime fitness, Tony's gourmet food, shops, golf, park/walking trails. Easy access to C470 / I25 and DTC.